The World Psychiatric Association established a program where series of anthologies of classic psychiatric texts were translated from their original language into English. This was launched because English is a widely used scientific language globally. The first book was published in 1999, covering major French classical texts. 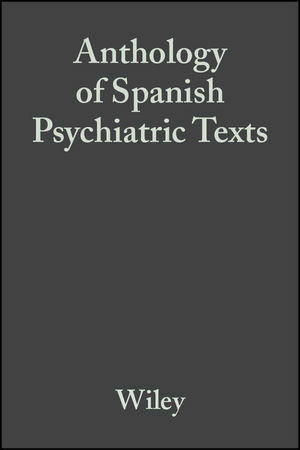 Anthology of Spanish Psychiatric Texts is the second volume in the series. Its contents represent an extensive date range from history, with contributions from as early as the 1500s. Juan José Lopez-Ibor is a Spanish psychiatrist. He studied medicine at the University of Valencia and of Madrid, where he obtained his doctorate in 1930. Carlos Carbonell is the editor of Anthology of Spanish Psychiatric Texts, published by Wiley.